No one likes to see their dog uncomfortable, nervous, or scared. It can be heartbreaking and make a pet owner feel powerless. A little bit of stress, or fear, in life can be normal. However, it becomes a problem when your dog’s reaction becomes extreme and persistent. Being able to recognize when your dog is fearful and anxious, and identifying the cause, is the key to determining how to calm a nervous dog. Once you know those things, you can develop a strategy to address the issue. The less anxious they are, the less likely your dog is to run away from shock. While many of these behaviors can be considered “normal”, they can be reason for concern if they are taken to the extreme or start to occur routinely. If not addressed at the onset, a natural reaction to the unknown can turn into a phobia or general anxiety. A dog usually becomes nervous or anxious for one of three reasons -- short-term fear, a phobia, or because they are just generally anxious. It can sometimes be difficult to tell the difference between those three because they all three have similar symptoms. However, they’re different in occurrence and extremes. The difference between general anxiety, fear, and phobia is often distinguished based on whether the dog exhibiting behaviors at a low or extreme level. It’s the difference between a dog just “being a little skittish” or destroying your house and practically climbing the walls when they are upset. The difference between fear, phobia, and general anxiety is also distinguished by the thing that puts your dog on edge - the trigger. Pay attention to when your dog is acting nervous. Is it seemingly all of the time and you can’t figure out what in the heck might be causing it? Or do they seem fine some of the time and get nervous in the presence of a specific stimuli? Fear anxiety is a normal response. Dogs naturally keep an eye out for potential threats. Fear anxiety the instinctual feeling of fight or flight in the presence of a specific real or perceived threat. A dog may exhibit a fear response around a certain person, object, or in a specific situation, especially in new situations or environments. A fear reaction can occur at any time, but it’s usually always triggered by the same specific thing or situation each time. In other words, your dog is relaxed unless the thing they are fearful of is around or happens. Where fear becomes a problem is when the reaction is abnormal or inappropriate -- when your dog’s reaction goes beyond “just a little nervous” to something more severe. The good news is most abnormal fear reactions are learned and can be unlearned with training and gradual exposure. However, if not addressed in a proper and timely manner, these situations can lead to a long-term phobia or anxiety state. Persistent, excessive fear of a specific stimuli (trigger), left unaddressed, can lead to phobias. In other words, if you know your dog is terribly fearful of something but they keep getting scared by it, and they are exposed to that same thing over and over, their fear can develop into an extreme reaction. The phobia can present itself when the dog is confronted by, or merely anticipates, the specific trigger. Some triggers can make sense, like loud noises or the car. However, some might not make any sense, like people wearing hats or glasses or inanimate objects like a lamp. If your dog is exposed to the trigger they have a phobia to again and again without intervention from you in the form of reassurance, behavior modification, counter-conditioning, or desensitization, they may become constantly anxious. When they feel like their world is unpredictable and the scary thing can show up at any time, they’re always anticipating a negative experience. In that case, their behavior may turn into generalized anxiety. 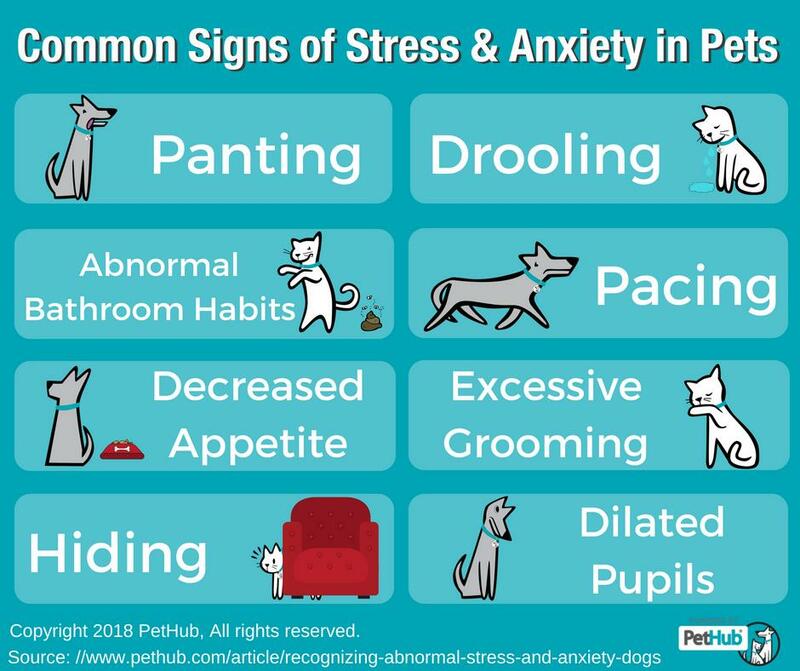 Is your dog is acting nervous and displaying all or some of the signs of anxiety listed above on a regular basis? If your dog is always on the lookout, and always seems on edge and unable to let their guard down, they might have a general anxiety disorder. A dog with general anxiety is almost always walking around nervous like they are waiting for something to go wrong. There isn’t really a rhyme or reason to it. This constant anticipation of future unknowns is usually more consistent than fear anxiety or phobias -- no extreme highs and lows, and on-going. While generalized anxiety can develop from regular exposure to something your dog has a phobia of, it can also be caused by something as simple as the upsetting of routines or environment like a family member moving out, being left home alone for a long period of time, or moving to a new home. According to PetMD, most fears, phobias, and anxieties develop in dogs at the onset of social maturity, from 12 to 36 months of age. It’s very important to address any anxiety that appears within this learning window by socializing your dog to people and other animals and exposing them to different environments, objects and walking surfaces. However, sometimes that key period gets missed or that formative period is wrought with uncertainty, like with some rescue dogs that have been juggled from home to home at an early age. 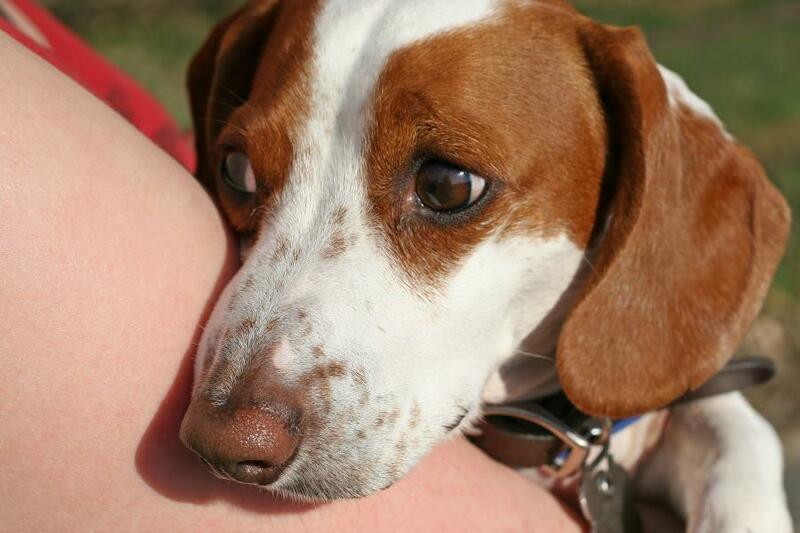 Also, fear anxiety, phobia and generalized anxiety can develop despite an owner’s best efforts. If an older dog is experiencing high anxiety, don’t worry. It’s not necessarily too late to do something about it because an old dog can indeed learn new “tricks”. Using a natural calming aid like aromatherapy and essential oils, the Calmz wearable calming device from Petmate, or one of these other natural calming products created for pets. 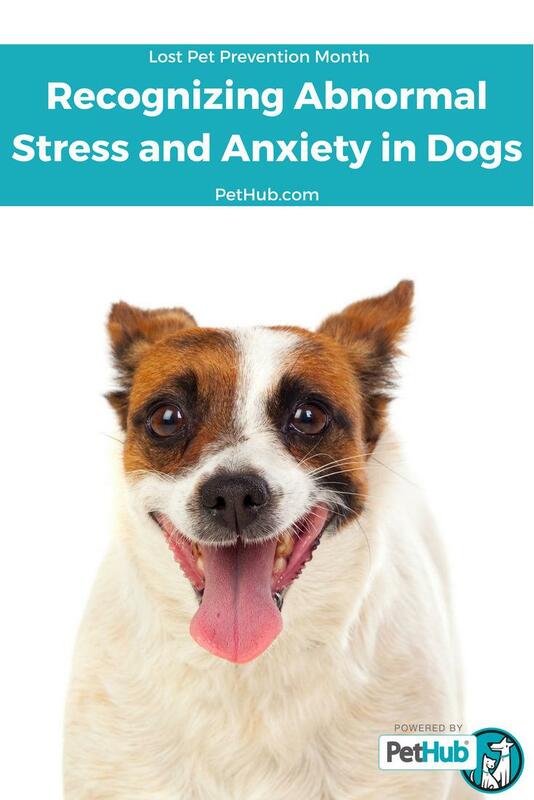 Do note that a sudden onset of anxiety can also be caused by some types of illnesses and diseases, so it’s always good to consult with your vet to rule out any underlying medical conditions if there is a sudden or extreme change in your dog’s behavior. Also remember that an anxious dog is more at risk for running away so make sure to take steps to prevent your dog from getting lost.